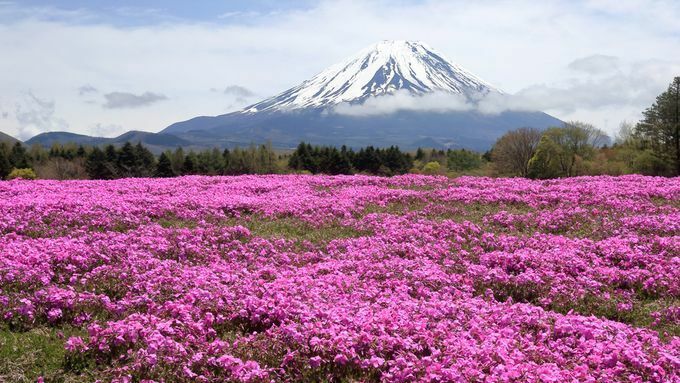 Every year, hundreds of thousands of people head to Yamanashi Prefecture to admire the vast fields covered with different shades of pink moss. 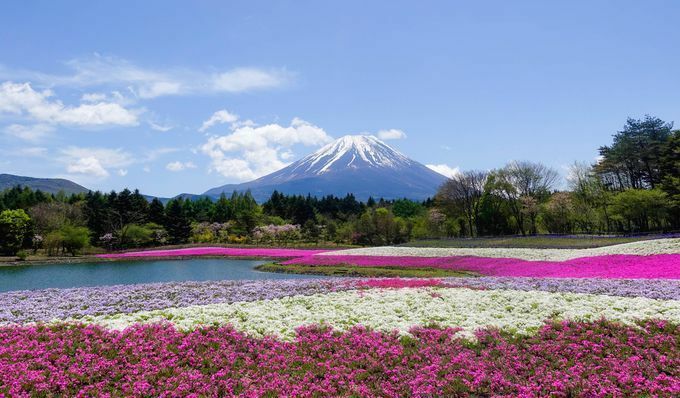 Yamanashi is home of Fuji 5 Lakes (Fujigoko), and the Festival is held 3 km away from Lake Motosuko. Visitors can contemplate the mesmerizing views of contrasting pink hues and the blue sky just beneath the majestic Mt. Fuji. 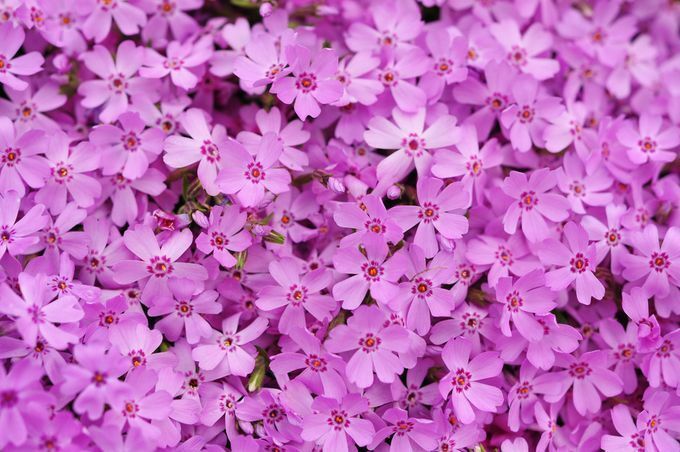 Close up of the shibazakura (moss phlox). The Festival is held over a period of one month and a half, from April 13 to May 26. The most recommended time for viewing is early to mid-May. The organizers also recommend that visitors arrive early, due to the festival's popularity. If you're worried about getting hungry, don't! During the Fuji Shiba-sakura Festival, the Mt. 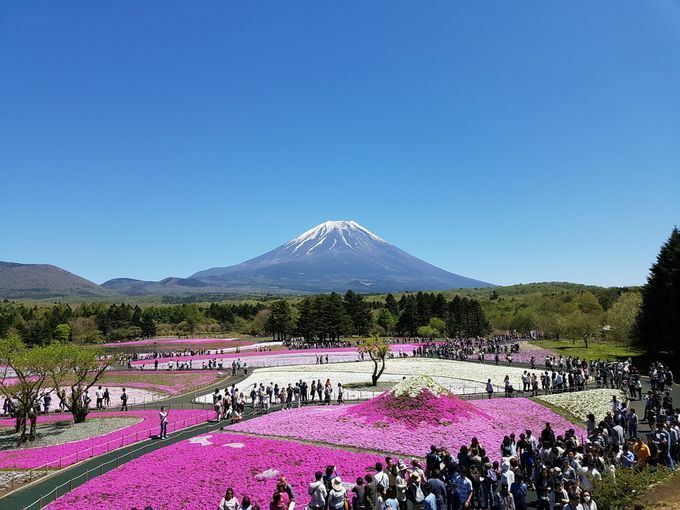 Fuji Delicious Foods Festival will be held in the park’s restaurant and shop area, with stalls featuring delicious treats from different places around the mountain. The most popular dishes are the Fujinomiya yakisoba, Fuji-Yoshida udon, and Koshu chicken giblet stew, as well as other local specialties like Fujiyama sweet bean buns, shaped in a celebratory combination of Mt. Fuji. What better to enjoy Spring?